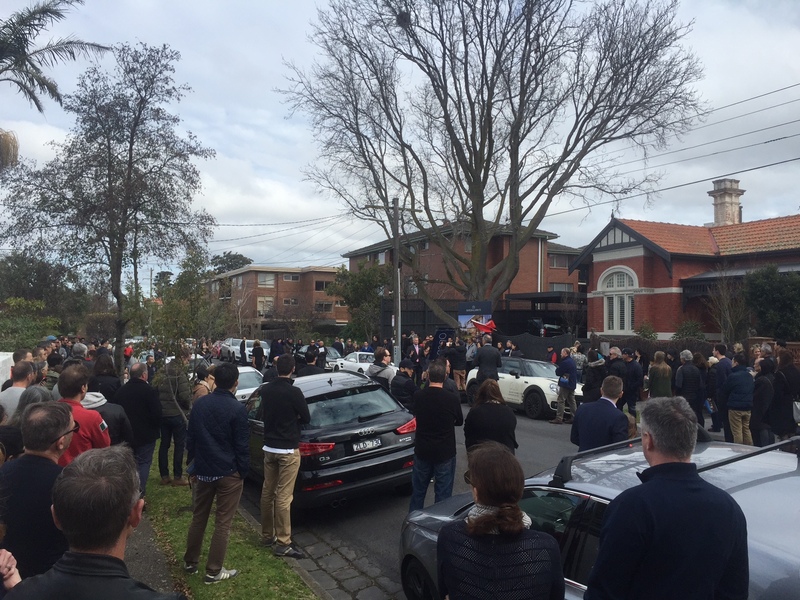 17 McKinley Avenue, Malvern (Sally O’Connell / Andrew Hayne Marshall White) – A really big crowd at this auction, 5 bidders over $4.5m! Good results – although still on low numbers! Many of the better homes that were auctioned on the weekend had the luxury of selling in isolation (i.e. no similar homes competing against them), allowing buyers to focus all their attention on the one property. The next two weekends will still see lower numbers across the board, with the 20th looking like the first weekend that there will be greater choice for buyers. 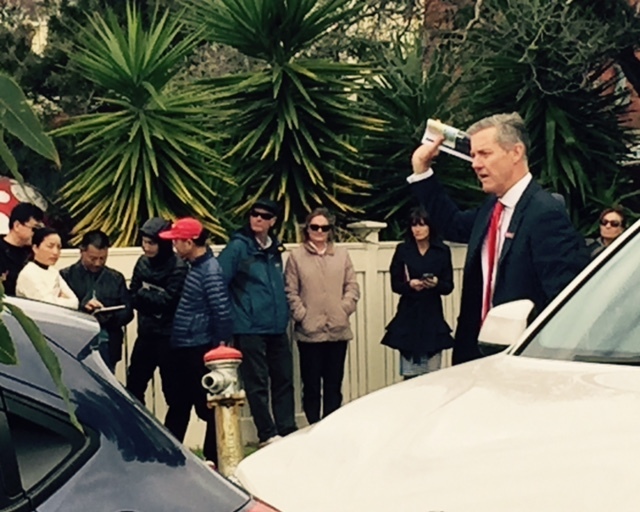 Scott McElroy was auctioneer at the auction of this pretty, updated Californian bungalow in a quiet Hampton street. The crowd huddled around as Scott gave a thorough spiel and called for an opening bid. Bidder 1 chipped in straight away, with an offer of $1.7m. Bidder 2 came in shortly after and a two-way battle ensued before the home was announced on the market at around the $2.09m mark. Bidding continued in$5k increments until the hammer came down at $2.31m to a round of applause from the 60 or so people that had gathered. 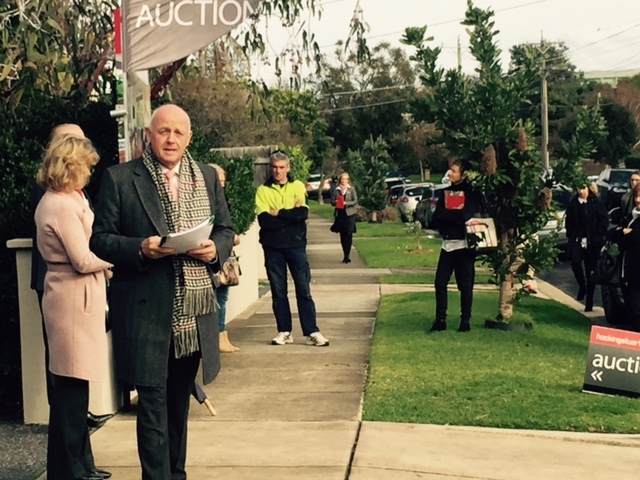 A brisk morning start didn’t slow Peter Kennett down – he was as entertaining as ever as he introduced the property for auction. After a thorough preamble, and a lot of laughs from the crowd of around 40 people, Peter called for an opening bid. 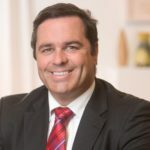 Unable to secure one, he tabled a vendor bid of $1.75m but when all remained quiet, he ducked inside to refer to his vendor. A second vendor bid of $1.8m was put forward but with no genuine bids on the day, the property was passed in. It sold a short time after for $1.888m.